Walking the dog through the neighbourhood after Halloween is a giant headache!! If you happen to have a pooch who isn’t a forager and is all about the journey, then you can relax and focus on the task at hand! I have a few canine buds though, that spend the entire time we are out, nose to the ground, looking for something gratifying to consumme! I have spent that past two days eyes locked on my charges, it seems like every two houses I am bending over to extract treat wrappers from their jaws, sucker sticks and even small pieces of candy. One small chocolate bar or a Skittle shouldn’t wreak havoc on your pet, but the junk food they find can cause some diarrhea or upset stomach. 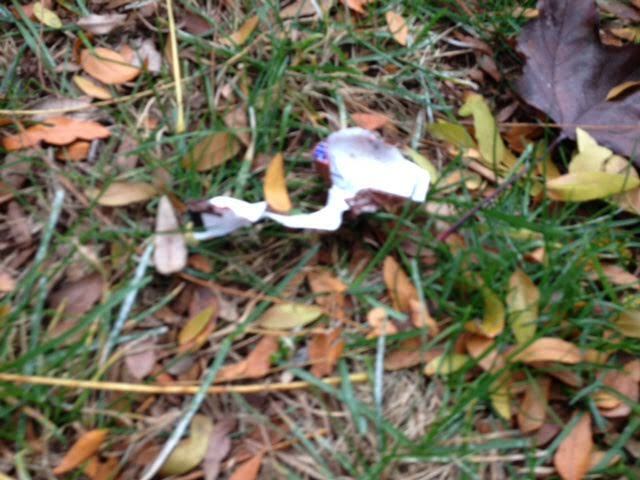 Just a reminder, while you are out and about, be mindful of the remnants of Halloween strewn about your front lawns, sidewalks and in the park!